flow--for love of wine: Visit our Etsy shop where you'll find many one-of-a-kind hand-made items here (more being added daily! ), and many rare and hard-to-find vintage items including collectible glassware, kitschy items, and much more! 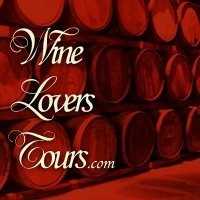 Wine Lovers Tours since 1998, and I've been on more than ten of his tours. I highly recommend Wine Lovers Tours to anybody who wants to visit wine country in style, without paying the luxury-tour prices!